Our ancient and modern Love Energy Techniques were created to serve the desires and needs of people who wish to become more loving to themselves, their families, their friends and others. Our Beginners and Activator level Love Energy Techniques teach one how to self heal oneself and how to optimize one’s life with the Energies of Unconditional Love. Once one has healed oneself with Unconditional Love Energies, one is prepared to learn how to use Starfire Healing Energies of Unconditional Love to properly heal family members, friends and other people. “Love is an Energy” and while Conditional Love is an entertaining earthly energy that can make one feel good, the heavenly healing energies of Unconditional Love enable Joy and Bliss to fill one’s Body, Mind and Soul. People have become very wary of what others say for good reason. This is because most people today are Service to Self type individuals and it is now rare in life to encounter a truly joyfilled Service to Others type individual who radiates the energies of Unconditional Love that transform people’s lives and heal people’s bodies. We are Service to Others individuals who radiate Love Energies. We now teach 4 different levels of Love Energies. Our Beginners Love Energy Techniques are taught in the comfort of your home at times of your choice, using at home recordings. We teach in a classroom environment our Love Energy Activator Classes, Starfire Healer and our Adept Teachers Classes. 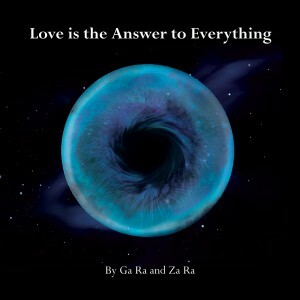 Learn the ancient wisdom how any human, (or animal’s), brain is capable of generating the energies of Conditional Love, but that only a human Mind is able to generate the energies of Unconditional Love.